Multi function using just 1 custom variable var_mode. Absolutely no coding Click the bottom buttons to change watch mode. 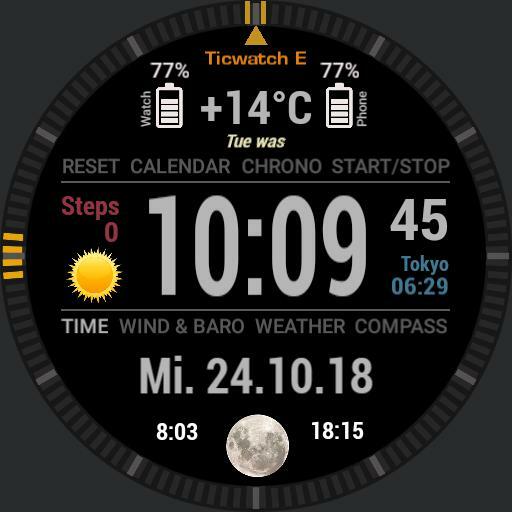 Now with some script functionality for lap time measurement taken from the Garmin Forerunner Moto 360 Sport watch face.